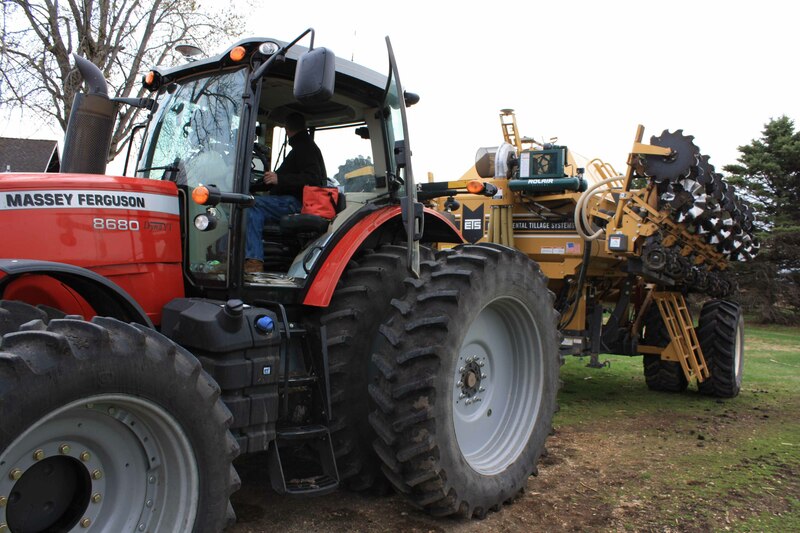 For Hegland, the spring planting process started after last fall’s harvest. Once the crops were harvested, he used the SoilWarrior system to do a fall tillage pass and apply phosphorous and potash. The night he finished, he was hit with of 20 inches of fresh snow, leaving him no time to thoroughly inspect his machine before putting it away for the winter. Fortunately for him, it wasn’t a major problem. Even though his SoilWarrior N can be equipped with both deep -running shanks or shallower-tilling coulters, Ed’s soils allow him to use just coulters for both spring and fall passes. “I can sink the 8-wave coulter down just about to the hub, so I’m really getting about 8 inches deep and loosening up about a 6 to 8 inch wide strip,” Hegland says. Hegland’s spring setup is fairly simple. Even after not being able to do maintenance on the SoilWarrior before putting it away in the fall, all his spring preparations involved was tightening a few bolts, greasing and checking hubs for oil. Then it was out into the fields to start his next season. Because Hegland has been doing zone-till farming for several years, his strips and other important information are already loaded into his guidance system. Once it’s time for spring field work to begin, he’s ready to go and can dive headlong into the process. In addition to fall fertilization, Hegland adds fertilizer in the spring. 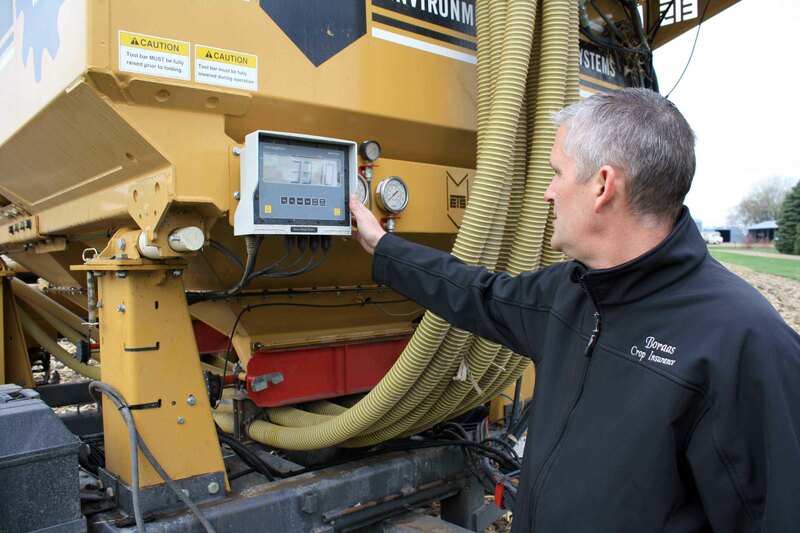 Working with a crop consultant and soil sample data, he utilizes variable rate technology to precisely control his nutrient delivery. Hegland’s SoilWarrior also comes with a steerable hitch, so it’s not just the tractor being guided by satellite technology. This allows the fertilizer to track precisely with the tilled zones both on curvy fields and those with steep hills and side hills. Hegland started his spring tillage in mid-April. Thanks to dry conditions, he should be able to wrap up all of his tillage and planting in about a month. Because he only makes one pass with the SoilWarrior in the spring and follows that up with his planter, the time and fuel Hegland invests in spring tillage is minimal. While most of his corn and soybeans were planted into moist soil, much of Minnesota is under moderate drought conditions. The biggest thing impacting Hegland’s productivity this year could be weather-related. 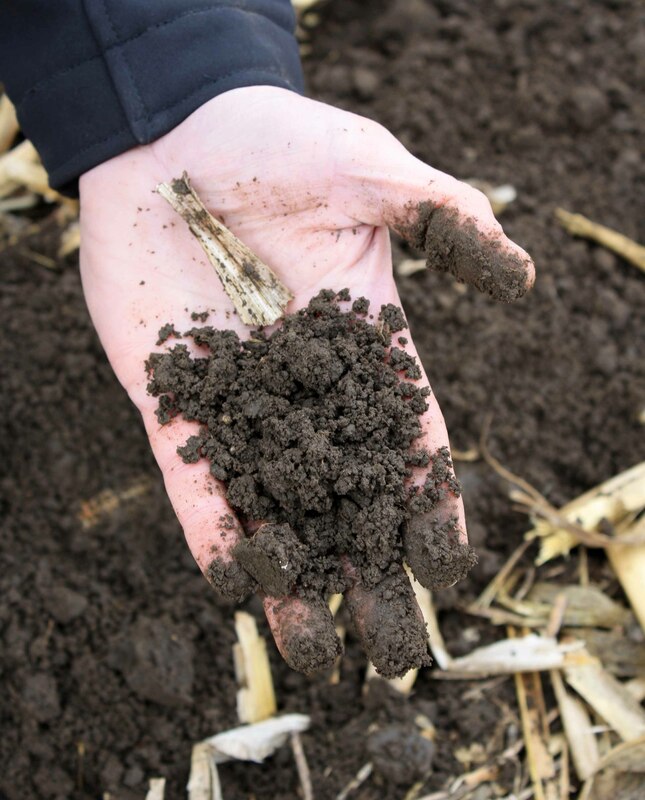 Spring rains will play an important role in determining the success of this Season of Strip-Till.